N266 Fitzsimmons v. Dempsey. 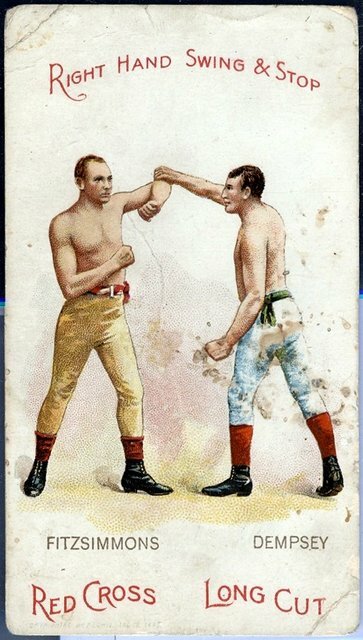 One of the two keys to the set showing Jack Dempsey and Bob Fitzsimmons, who fought for the middleweight crown. Fitz held two titles at once (middle and heavy) at a time when there were only three weight divisions.